California had issued a new flame-resistance standard for bedding. 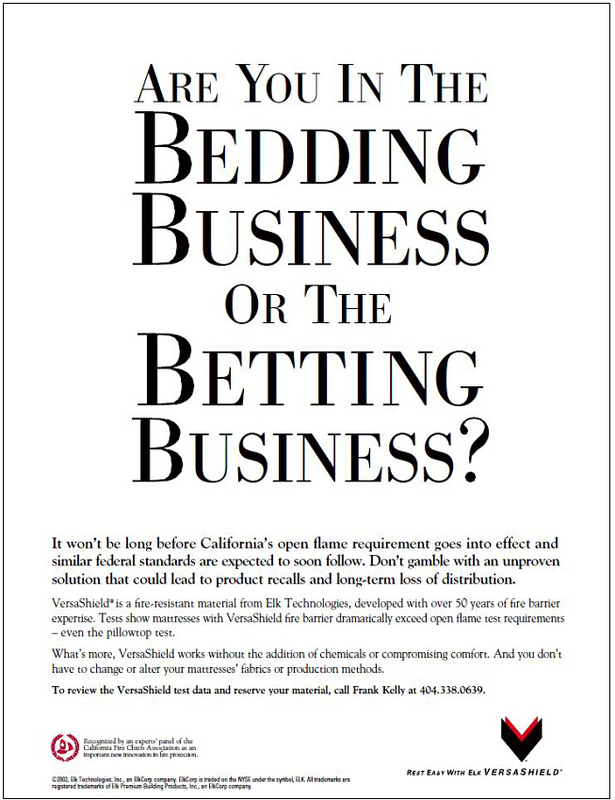 Mattress manufacturers were dragging their feet, gambling they could use the political process to change the deadline for meeting the new standard. Our client, a roofing materials manufacturer, saw an opportunity to repurpose their underlayment product. We were charged with creating an ad that would generate inquiries about it. When we presented this ad to the man in charge, he gave us a standing ovation.